While the history of Ottoman conquest and rule in the Balkan region, and the role of nationalist grievances by the inhabitants of the Balkan provinces in the movement that led to the dissolution of the empire, are well-known topics under the general heading of Ottoman history, Western scholarship on Balkan-Ottoman Islam, and particularly on the role of Sufism in the Balkans, has been sparse. This is unfortunate, because the legacy of Ottoman spirituality is surprisingly vital in that region. In discussing the heritage of Ottoman Islam in the Balkans, it is first necessary to recognize the difference in the religious and cultural destinies of the peoples in the area that were brought under Ottoman rule, beginning in the 14th century C.E. The main Balkan states to be absorbed early into the empire, i.e. Macedonia after 1371, followed by Bulgaria in 1422, Serbia in 1459, and Greece in 1460, as well as the vassal entities of Wallachia and Moldavia, remained Orthodox Christians in the majorities of their populations. Some members of the autochthonous populations accepted Islam, and these today-indigenous Muslims, including the Macedonian Slav Muslims and Pomaci in Bulgaria, with small numbers in Thrace and other neighboring localities, survived the fall of the empire as significant minorities. They currently number in the tens, and possibly hundreds of thousands. Greek and Serbian converts to the faith of Muhammad are both topics of historical controversy. A Greek Muslim community originating in conversions seems to have mainly disappeared from that country, during the population exchanges after the first world war, although a new Muslim immigrant community mainly comprising Albanians and Arabs has lately revived Islam in Greece. Muslim Albanians in the Greek Epirotic area known to Albanians as Çamëria were expelled or have been forcibly assimilated in the Greek state. Serbian historical legend depicts all Slavs who became Muslims as "renegade Serbs" who left their past faith either under compulsion or to avoid the cizje tax on non-Muslims and gain other advantages, or as colonizing "Turks." There certainly were and are Serb Muslims, although many were driven out of the country during the wars, massacres, and expulsions of Slav and Albanian Muslims during the long southerly expansion of Serbian territory, beginning in 1804. "Muhadžirs" or refugees from persecution for their Muslim faith settled in places as distinct from one another as Caesarea in Israel, which was built up in the late Ottoman imperial period by them, Kosova, and Turkey. At least 3.5 percent of the Serbian population of 7.5 million today is Muslim, concentrated in the southwest, with Slavs, who identify themselves as Bosniaks, living in the northern part of the former sancak of Yenipazar/Pazar i Ri/Novipazar, which was divided between Serbia and Montenegro after the Balkan Wars of 1912-13. The Sandžak, as it is known to Bosniaks, also includes a significant Albanian Muslim presence at its eastward extremity, bordering on Kosova. Ottoman emigration to these districts – organized as beyliks, vilayets, and pashaliks – was uneven after their takeover, with some receiving considerable numbers of Turkish colonists and administrators, others fewer. Remnants of Ottoman Turkish communities, sometimes speaking archaic dialects of the language, are to be found today in Kosova, Macedonia, Bulgaria, and Thrace. In addition, as I shall mention further along, Turkish-language ilahije and spiritual nefesler are still sung by Sufis in the region. The outcome for Bosnia, which was finally subdued in 1463, and Albania, overtaken in 1478, was different than for the other formerly-Christian lands. Bosnia-Hercegovina had long harbored Catholics in its West, as did the Albanian ethnos in its northern regions, including parts of today's Montenegro, as well as Kosova and western Macedonia. Both Bosnia-Hercegovina and Albania in its present borders included large Orthodox Christian communities, in eastern Bosnia and southern Albania. But the majority of the Bosniak people and of the Albanians became Muslim. To consider the Bosnian elite who became Muslims after the victory of the Ottomans in the 15th century as "former Serbs" is, as noted, a popular shibboleth of Serb and other Orthodox Christian historians and apologists. Bosniak Muslim intellectuals argue that their community was independent from both Catholic Croatia and Orthodox Serbia, and that its mass acceptance of Islam did not represent a betrayal of either of the Bosniaks' neighbors, but, if justified by any political imperative, was a recourse taken to reinforce their separate identity. Certainly, Croats no less than Serbs have attempted to claim the Bosniaks as their "forcibly Islamized" lost sheep. 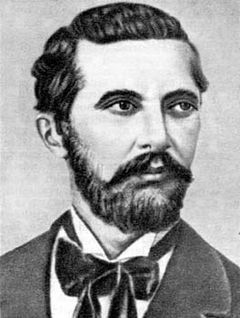 In the late 19th century, with the rise of conservative Croatian nationalism, the right-wing political leader Ante Starčević (1823-96) referred to the Bosnian Muslims as "the flower of the Croatian nation." From the Habsburg occupation of Bosnia in 1878 until the end of the first world war, Bosnians were treated by the Austro-Hungarian authorities as a separate community from both Croats and Serbs. The term Bošnjak, to denote a national identity unifying all inhabitants of the country, but distinct from Croats and Serbs, was promoted by the Habsburg regime, particularly by the Hungarian finance minister and administrator of Bosnia-Hercegovina from 1882 until his death, Benjamin von Kállay (1839-1903). The concept of a distinct Bosnian identity, however, was stifled with the end of Habsburg rule. After 1918, Bosnian Muslims were returned to a situation of competition between Croats and Serbs for their explication of their origins, as well as their allegiance. Under monarchist Yugoslavia, between the world wars, Bosnian Muslims wavered between identification as Muslim Croats and as Muslim Serbs. During the second world war, the German-installed Ustaša regime united Croatia with Bosnia-Hercegovina, in the "Independent State of Croatia" (NDH by its Croatian initials), and, in a chapter of Bosnian history much discussed but little elaborated by historians outside the region, Bosnian Muslims were recruited to fight under German and Croatian command in the Waffen SS, as were Albanians. With the arrival of the Yugoslav Communist regime in 1943-44, Bosnian Muslims were denied a distinct ethnic category by Yugoslav authorities until 1968, when the Tito regime recognized "Muslims by nationality" (not officially called "Bosniaks") as a separate census classification. A small number of "Yugoslav Muslims" are still self-defined, separately from Bosniaks, in Montenegro and Serbia. In the discussion of a Bosnian identity, neither Serb nor Croat, as an independent factor in the local society prior to the Ottoman conquest, much time and effort has been dedicated to understanding the Bosanska Crkva or "Bosnian Church" that was present in the territory and was the object of a crusade against Balkan heretics as well as in resistance to the advance of the Ottomans, launched by Pope Pius II (Enea Silvio Piccolomini [1405-1464]). Unfortunately, the Bosnian Church left little in the way of written sources to judge its beliefs, and the study of its existence has been muddied by identification of it with the neo-Manichean Bogomil movement among Bulgarians. It is now generally accepted that the Bosnian Church was not "Bogomil," but most probably was simply a geographically-isolated branch of the same Catholic faith practiced in Croatia, then as now with its own Slavonic liturgy and customs. 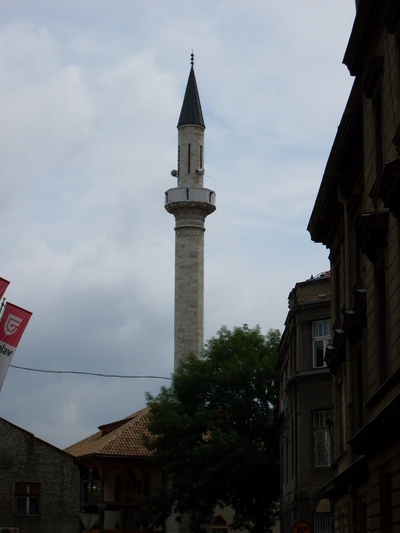 It is widely believed among Bosnian Muslims that the leaders of their separate church joined the rest of the elite in entering the ranks of Muslims. Some Bosniak intellectuals today and in the past have advocated the view that Bosnian Muslims and their forebears were never Slavs, either Croat or Serb, except in adopting their language, and that Bosnians, like Albanians, are descendants of the Illyrian population that inhabited the region prior to the Slavic invasions of the 7th and 8th centuries. Substantial evidence for this theory remains lacking, although Bosnians and Albanians share some cultural markers that could indicate either a common origin or extended contact. One example of this is the legend, preserved in Albanian and Slav balladry, of Gjergj Elez Alia, in Albanian, or Djerdželez Alija, in Bošnjak language, a hero who is praised by Albanians for fighting invaders to defend local traditions. Djerdželez Alija is said by Bosnians to have lived in Sarajevo, in a specific house on a street named for him today. Among Albanians, he is a defender of ethnic custom, while Bosnians consider him a Muslim gazi or warrior. Most of the oral corpus among Bosnian Muslims is Islamic, but not Turkish, in character – an element supporting the presumption of an independent Bosniak identity. Bosnian folk music has little in common with the Turkish modes found in the Albanian lands and Thrace. Traditional Bosnian songs are known as sevdahlinke, and are described as bearing sevdah – the pain of love – as their content. The word sevdah is of Turkish, and ultimately Arabic origin, indicating darkness of attitude. The commonalities of oral traditions among Balkan Slav Muslims and Albanians have been further confused, rather than clarified, by Yugoslav and Western scholars who insist on seeing Western Balkan songs and recitations, which often feature common motifs, as having an exclusively Slavic origin, but which was then borrowed by Albanians. Albanians, quite naturally, argue for the reverse, or for prolonged contact, in explaining these common cultural artifacts between two essentially dissimilar language communities. On one point, however, Bosnian Muslims and Albanians agree: neither are descended from Turkish colonizers. While claims are seldom heard today that the Albanians who became Muslim were also former Serbs, they are not unknown. But regardless of that argument, a notable number of Albanians today, in Kosova as well as Albania proper, will declare that their forebears were compelled to become Muslims, and that Albanians should return to Christianity so as to better integrate into Europe. Still, perhaps because Bosnians and southern and central Albanians more thoroughly accepted Islam, Turkish colonization was less common in these lands, generally being limited to the beyler, as the highest members of the governing elite, living in urban enclaves, and as landowners. Neither Bosnia-Hercegovina nor Albania today has a visible Turkish minority, although Kosova and western Macedonia, which are considered within the sphere of "ethnic Albania," do. Turkish loanwords are common in both Bosnian and Albanian, but old modes of Turkish speech are not heard in Sarajevo or Tirana, although they may be encountered in the Macedonian cities, Shkup/Üsküb/Skopje and Tetova/Kalkandelen/Tetovo, as well as in Prizren and other Kosova towns. The Ottoman heritage in the western Balkans is often summarized by the continuing presence of Islam, counting around 6.5 million believers, architectural monuments, predominance of rural over urban socialization, culinary habits, and loan words in the Slavic and Albanian languages. Yet the Bosnian and Albanian Muslims also created and maintained a substantial Islamic spiritual culture. This included the broad penetration of Sufism into Bosnian and Albanian Muslim consciousness. Bosnian Islam has been described by the Bosnian author Jasna Samić as follows: "The general orthodoxy of 'Sunnism' in Bosnia-Hercegovina had increased in the course of history: Bosnia became more 'Sunni' with the coming of the Austrians, and became yet more pronouncedly so in [the former] Yugoslavia. Rigidity, intolerance, the authoritarianism of local clerics, formalism, and dogmatism (present in every area) along with ideas of orderliness and good manners, fear of liberation, etc., finally expressed nothing more than anxiety over the loss of power. All this is comprehensible if one grasps that in this milieu the 'semiliterate' dominate." Samić uses this polemical argument to explain why Bektashi Sufism, the heterodox tariqat associated with the Ottoman Yeniçeri (janissaries) and, after the suppression of dervish orders in Turkey by the republican regime in 1925, with Albania, to where Bektashi world headquarters was moved, could not gain a permanent presence in Bosnia-Hercegovina. Samić writes, "Bosnian Sufis agree that Bektashism never had great success in Bosnia because of the strong presence of other orders such as the Naqshbandis and Qadiris, and the great influence of the clerics. It is likely that they could not root themselves in the region because of their non-conformism." Nevertheless, the Yeniçeri, quite naturally in a border region like Bosnia, were a major institution in the land. It should be noted that the most famous Sufi shrine in Bosnia-Hercegovina, the Blagaj tekija in Hercegovina, was once a Bektashi installation, and lacks a mihrab for prayer in the direction of the qibla in Mecca, since Bektashis do not practice daily prayer or namaz. The Blagaj tekija is today claimed as a Bektashi site by the World Bektashi center in Tirana. Until the Communist era Bosnia was rich with Sufi activities, including those of the main tariqats aside from the Naqshbandis and Qadiris, such as the Mevlevis, who are said to have converted a former dignitary of the autonomous Bosnian Church to Islam, and who established a tekija described in song as well as historical documentation at Bembaša on the river Miljacka in Sarajevo. Bosnian Islam has, in my observation, maintained an air of pronounced Sunni "rigor" although its popular culture, as revealed in the aforementioned song traditions, is replete with positive references to rebels. Resentment of the distant authority in Istanbul is found under the surface of many Bosnian Muslim cultural products. For example, two Muslim brothers from the 18th century, the Morići, were hanged by the authorities yet are looked upon as beloved symbols of Sarajevo, and celebrated in many folk songs. They are described as members of the ahiha or trade guilds and of the Yeniçeri, which suggests they may have been dissident Sufis. In one of the songs dedicated to them, the brothers are defended against the power of the Sultan, of whom it is said: "Sultan care, proklet li si, kad ti sablja pravdu kroji, na zulumu carstvo stoji; Aj, ne prestaše paše i veziri, Bosnu moju niko ne umiri." Translation: "Imperial sultan, you are damned as long as your sword denies justice and the empire stands on evil; Oh, pashas and vezirs will come and go but my Bosnia will never die." These songs became patriotic anthems during the 1992-95 war in Bosnia-Hercegovina, and the reference to the evil foundation of the empire invariably elicits waves of applause when this ballad is included in public performance of Bosnian sevdahlinke. During the 16th century, Bosnia-Hercegovina was the scene of the Hamzevi movement, a derivative of Malami Sufism that was ferociously punished by the Ottoman authorities, but which produced an insurrection in Bosnia a decade after its apparent suppression. The Bosnian historian Emin Lelić has associated Hamzeviyya with the Hurufi numerological theosophy that was brutally extirpated from the Ottoman lands. Like the Jewish Kabbalah and some radical Franciscan interpretations, Hurufism led its adepts to believe that numerology foretold great upheavals in the worldly order. Hurufism was viewed as seditious and its members were burned alive "in the Christian style," according to the Turkish historian İlber Ortaylı. Nevertheless, outside Bosnia-Hercegovina, Hurufi beliefs persist in Turkish Alevism as well as in the Bektashi Sufi order. The Albanian lands, perhaps because of their linguistic singularity, were generally more hospitable in Ottoman times to heterodoxy, and it is unsurprising that the Bektashi Community, as it defines itself today, after 85 years of effective Albanization, is fully Albanian in character, having adopted Albanian as its language of esoteric instruction, as well as Albanian patriotic symbols. The Bektashi Community was suppressed in Albania proper under the Communist regime of Enver Hoxha, but remained alive underground, with its gatherings, like those of other Sufis, disguised as weddings and other acceptable social events. In Kosova and western Macedonia, under Tito, the Bektashis were harassed and their properties – most importantly, the 16th century Harabati Baba Teqe in Tetova – were expropriated for commercial use, as a hotel in the Tetova case. During the Communist period, notwithstanding the apparent low degree of religious affiliation or particularism in their national community, Muslim Albanians in Kosova and western Macedonia remained loyal to Sufism, which could not be extirpated in their regions of the former Yugoslavia. By contrast, Sufism was outlawed in Bosnia-Hercegovina in the 1950s. In a certain sense, Bosnian Muslims may be said to have preferred the worldly rewards brought by the Communist system, in the form of artificial industrial development, over the spiritual bounties of the Sufis. The result of this is that Sufism has a rich tradition of local shaykhs and authors in Bosnia, but most of them are figures of the past, although some Sufis fought with distinction in the 1992-95 war and several tekijas are open today. In Kosova, Sufism could not be extinguished. First, Kosovar Albanians, except for the elite assimilated into the Yugoslav Communist hierarchy, could not be rid of a preternatural suspicion that Communism was merely another form of Slavic imperialism. Second, Kosova did not receive the benefits of Yugoslav economic aid until very late. Today, Sufism has a more abstract, intellectual, and even folkloric quality in Bosnia-Hercegovina than in Kosova, western Macedonia, and Albania proper. In Bosnia-Hercegovina it is but one among many competing cultural trends, Islamic and non-Islamic, but in the Albanian lands it maintains a strong presence in public life. Under Titoite Yugoslavia, the non-Bektashi Sufis of Yugoslavia had their headquarters among the Kosovar Albanians of Prizren, while the teaching and clerical institutions of the Yugoslav Islamic Community were centered in Sarajevo. Although Bosniaks and Kosovars speak different languages, the Islamic Faculty of Sarajevo continues to serve as the main teaching establishment – with Slav, i.e. Bosniak texts – for Muslim religious functionaries in the western Balkans, Kosovar Albanians as well as Bosnians and Croatian Muslims. For many years, Sarajevo was the site of the main Islamic secondary school in Yugoslavia, the Gazi-Husrevbeg Medresa. The Alauddin Medresa in Prishtina, the Kosova capital, also operated through the Tito years but was and continues to be treated as a lesser establishment. 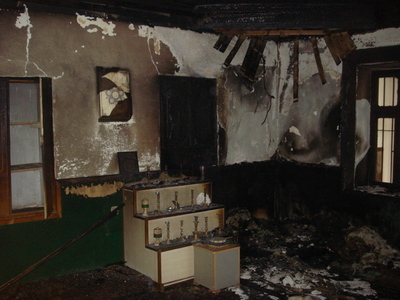 Arson damage by Wahhabi vandals at the 16th c. CE Harabati Baba Bektashi Shrine, Tetova, Macedonia – Photograph 2010 by the Bektashi Community of the Republic of Macedonia. Aside from the Bektashis, who support their own organizational apparatus, Kosova, western Macedonia, and Albania include hundreds of active teqet affiliated with the Rifa'i, Halveti, Qadiri, Sa'adi, Gjylsheni, Xhelveti, Hajati, and Tixhani tariqats, numbering almost 300 in Albania alone. Many towns in Kosova and Albania proper have numerous teqet representing the different orders, as well as, especially in southern Albania, many Bektashi centers. Albanian-speaking Sufis continue to produce collections of ilahije, nefesler, and other songs and recitations for use in dhikr – the Sufi remembrance of God – some in Turkish as well as Albanian, along with translations of Sufi classics, and new contributions to the spiritual canon, while literature on Sufism in Bosnian is more limited to academic investigation. Religious works read in Albanian during the Ottoman ascendancy, such as the Mevlud-i-Sherif of Hafiz Ali Riza Ulqinaku (1855-1913)  and the Bektashi poetry of the Albanian national enlightener Naim Frashëri (1846-1900),who is considered one of two Albanian national poets along with the Catholic Gjergj Fishta (1871-1940), remain popular with Albanians today. Naim Frashëri was one of the three Frashëri brothers who were prominent in the movement to modernize the Ottoman dominions. 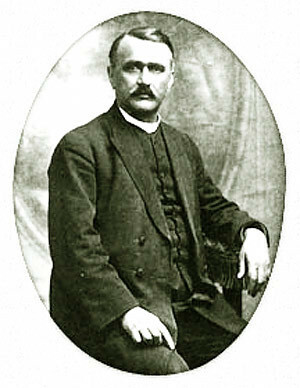 He, his older brother Abdyl Frashëri (1832-1892) and their younger brother Sami Frashëri (1850-1904) were also leading figures in the Albanian national rebirth of the 19th century. 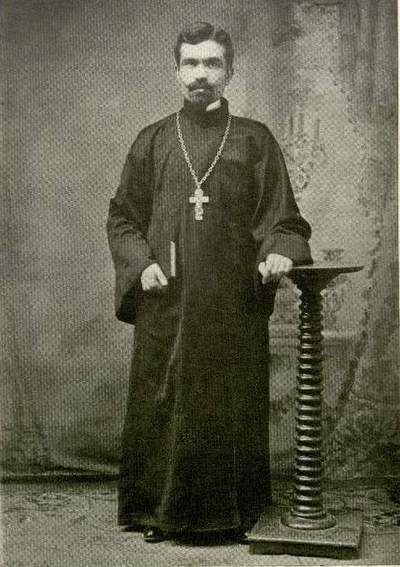 Bektashism, with its heterodox and humanistic outlook, was so important in the development of the Albanian national movement that it may be said that Albanian national consciousnes was mainly articulated by Bektashis and Catholics, with a subordinate role played by Albanian Orthodox figures such as Theofan Stilian Noli (1882-1965), founder of the autocephalous Albanian Orthodox Church. Control of the Albanian Orthodox community, which accounts for about 20 percent of religious believers in Albania proper, remains contested, with the position of primate currently occupied by an ethnic Greek, Anastasios Janulatos – a source of considerable Albanian resentment. While Bosnian Muslims must contend with claims on them made by Croats and Serbs, Albanians face attempts at denial of their nationality by Serbs, Slav Macedonians, and Greeks. Naim Frashëri composed a long poem, Qerbelaja, which, in line with the Shia orientation of the Bektashis, equates the fate of the Albanians, as a people oppressed because of their love of freedom, with the martyrdom of Imam Husayn at Karbala in 680 CE. "Naimi" also composed a collection of spiritual poems, Lulet e Verës (Summer Flowers), and a manifesto for Albanian Bektashi "identity." Albanian Bektashism differs from the Turkish Alevi-Bektashi movement in several ways. First, the Albanian Bektashis comprise an organized tariqat rather than a folk subculture. Although Bektashis are found nearly everywhere Albanians live, they remain a disciplined body requiring esoteric initiation and study. The Bektashis, because of their long service as chaplains to the yeniçeri, have, like other Sufis, often been described as supporters of gradual Islamization of non-Muslims under Muslim rule. It may be more pertinent to note that until their official disbanding in 1826, and even afterward, when they were able to reassert their influence, the Bektashis were a pillar of the Ottoman order. As such, they offered protection to other heterodox minorities, aside from any natural affinity between them and similar phenomena. 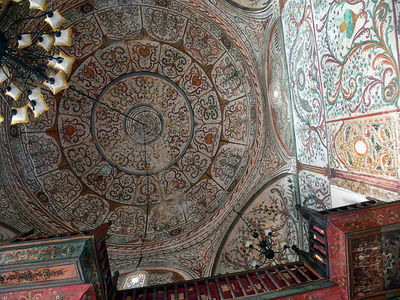 Ceiling decoration, Haxhi Et'hem Beu Mosque, 18th-19th c. CE, Tirana – A most precious jewel of Albanian sacred architecture, subsidized by a Bektashi Sufi shahid. Photograph 2007 Via Wikimedia Commons. The Albanian ethnologist Albert Doja has summarized a process by which the Anatolian Qizilbash community, which was persecuted by the Ottomans during the Turkish wars against the Iranian Safavids, ceased to be perceived as a threat to Ottoman authority and as heretics supportive of the enemy. Thus the "Alevi-Bektashi" stream emerged, in which the Shia, Sufi, and ancient Anatolian practices and beliefs of the Alevis became associated, but did not fuse, with the existing Bektashi tariqat. While the Bektashi order struck deep roots in Albania, nothing resembling Anatolian Alevism ever appeared in the western Balkans, except in Trakya – i.e., Turkish Thrace, or European Turkey. The Albanian Bektashis are devotees of shaykh-ul-aqbar, the "doctor maximus" of Sufism, Muhyiddin Ibn Arabi (1165-1240). In this regard, they and other Albanian Sufis naturally have a common interest with Bosnian Sufis, who also treat Ibn Arabi with deserved honor. My friend and mentor Dr. Rešid Hafizović, a professor of Islamic theology at the Faculty of Islamic Studies in Sarajevo, is completing a translation into Bosnian of the most important Sufi work by a 17th century Bosnian, which is a translation into Ottoman Turkish, with commentary, of Ibn Arabi's classic Fusus al-Hikam (The Bezels of Wisdom) by Abdullah effendi Bošnjak 'Abdi' bin Muhammad al-Bosnawi (1584-1644), who was a shaykh of the Bayrami- Malami tariqat. Al-Bosnawi's name is relatively well known in Bosnia, but his work has not been generally read in recent decades. Hafizović has published an important article on his own recension of Al-Bosnawi in the Journal of the Muhyiddin Ibn Arabi Society, titled "A Bosnian Commentator on the Fusus al-hikam." "This is the tomb of a recluse of Allah on His Earth. His name is Abdullah, Servant of Allah." I will conclude by noting that since the collapse of Yugoslavia and Serbian aggression against Bosnia-Hercegovina in 1992-95, a fairly considerable scholarly literature on Bosnian Islam has been published in English. Some of these works embody "cultural survival," in that Islamic and Catholic libraries were targeted deliberately for destruction by Serb forces during the war, and many significant works are lost or are the object of efforts at rescue. An important doctoral dissertation defended at the University of Sarajevo in 1988, The Works of Logic by Bosniac Authors in Arabic, by Amir Ljubović, includes the following note: "Manuscripts, some of which [were] handwritten by the authors, from the collection of the Oriental Institute in Sarajevo, other sources and literature used for this work, were definitely destroyed in the fire set to the Institute on May 17, 1992, together with some of the author's notes and card-files." Contemporary Bosnian Muslim authors have published various important works on the transition of their community from Ottoman to Habsburg and Yugoslav rule, and the implications of "the challenge of modernity." Several key titles have been translated into English. A useful and stimulating volume, with much on the role of the Muslim theologian Mehmed Džemaludin Čaušević (1870-1938), is Contributions to Twentieth Century Islamic Thought in Bosnia and Herzegovina, by the Sarajevo scholar Enes Karić. The author comments therein, "Unfortunately, little will be said of Sufi thought in 20th century Bosnia and Herzegovina. The reasons for this are complex, and lie primarily in the fact that Sufism and sufi thought in Bosnia and Herzegovina have withdrawn into themselves and have not had a significant impact on Islamic thought in this country." This is, one must add, a controversial opinion. Sufism remains a powerful and enlightened element of Islamic culture in the Balkans, which cannot be divorced from the long influence of Ottoman governance. In these remarks I have touched only on some outstanding representatives and characteristics of this legacy. Thus, scholarship on Bosnian Islam increases, while research on Albanian Islam in English remains sparse, but Balkan Islam in general presents an important, largely-neglected, and open field for Turkologists and Islamologists, notwithstanding the losses of libraries and other resources in the Balkan Wars of 1992-95 and 1998-99. This opinion by Ante Starčević is frequently cited in discussions of Bosnian national identity but is not easily sourced. A sympathetic discussion of Starčević's view, contrasting it with that of the later Ustaša movement, is found in Redžić, Enver, Bosnia-Herzegovina During the Second World War, tr. Aida Vidan, London: Cass, 2005, pp. 73-74. Redžić was a Tito Partisan and confirmed enemy of the Ustaša regime. His defense of Starčević and argument that the Ustaše had betrayed the Croatian national politician's own view to justify Croatian-Bosniak collaboration with Germany in 1941-45 rests on a single point. That is, Starčević despised Germany and the Habsburg empire, while the Ustaše served as collaborators with the Hitler regime in the occupation of Croatia and Bosnia-Hercegovina and considered the Germans as liberators. This argument appears weak when compared with the much more compelling factor that linked the tradition of Starčević to the policies of the Ustaše: hatred of Serbia. It is more convincing to imagine that Starčević, like others before and after him, primarily viewed the Bosniaks instrumentally, as natural allies against the Serbs. See Schwartz, Stephen, "Bartók, Parry & Lord: a flawed legacy, The New Criterion [New York], November 2009. Samić, Jasna. "Oú sont les Bektachis de Bosnie?" In "Bektachiyya," éd. Alexandre Popovic and Gilles Veinstein. Revue des Études Islamiques [Paris],1992. Lelić, Emin, "Bosnian involvement in Heterodox Movements during the Ottoman Period:The Case of the Hamzevis & Bektashis," delivered at 1st International Symposium on Alevism and Bektashism, Süleyman Demirel University Faculty of Theology, İsparta [Turkey], September 28-30, 2005. [5[ Ortaylı, İlber. "The Policy of the Sublime Porte Towards Naqshbandis and Other Tariqas in the Tanzimat Period." In Naqshbandis in Western and Central Asia, ed. by Elisabeth Özdalga. Istanbul: Swedish Research Institute,1999. Stephen Schwartz's personal copy of register of Albanian non-Bektashi teqet, issued in Tirana by Komuniteti Alevian Islamik Të Shqiperisë, 2006; and Rexhepagiqi, Jashar. Dervishet dhe Teqetë në Kosovë, në Sanxhak, dhe në Rajonet Tjera Përreth. 2nd., expanded ed. Peja: Dukagjini, 2003. See, e.g., Zani i Ashikëve të Ehlibejtit. Prizren, n.d., with texts in Albanian and Turkish, used by the Halveti-Karabashi teqe of Rahovec, one of the most distinguished in Kosova. Ulqinaku, Hafiz Ali Riza. Mevludi Sherif. N.p. [Shkodër? ]: n.d.
 Frashëri, Naim. Bagëti e Bujqësia, Lulet e verës, Vjersha të tjera. Tirana: Dituria, 2001. Includes the Sufi collection Lulet e verës (Summer Flowers), of which an English translation by Agim Morina and Stephen Schwartz is forthcoming. --------------------. "Bektashi Pages." In Christianity and Islam Under the Sultans, by F. W. Hasluck. Oxford: Oxford University Press 1929. --------------------. Qerbelaja. Bucharest: Dituria, 1898: Reprint, Tetova: Teqe Harabati Baba, 1996. Doja, Albert, "A political history of Bektashism from Ottoman Anatolia to contemporary Turkey," Journal of Church and State [Oxford], 2006. Hafizović, Rešid, "A Bosnian Commentator on the Fusus al-hikam," Journal of the Muhyiddin Ibn Arabi Society [Oxford-Berkeley], 2010. Hafizović's translation of the enlarged Arabic edition has been published as Abdulah-efendija Bošnjak, Tumačenje Dragulja Poslaničke Mudrosti (Commentaries on the Bezels of Prophetic Wisdom), Sarajevo, Ibn Sina, v. 1, 2008, and ffg. Leiden: Brill, 2008, p. 2. Sarajevo: El-Kalem, 2011, p. 13.